All the things that in the abstract expressionist days were assumed to justify art's difficulty—its specialness, its sensitivity, its unrepeatability, its complexity and depth—he [Warhol] was happy to throw away. Being famous and being recognised, he thought, were better. It's one thing to have that thought—and the people he hung out with had thoughts like that all the time, because they were stoned or drunk—but what Warhol was good at was showing what that thought might actually look like. (Matthew Collings, “I am a Genius”, This is Modern Art, Episode 1, Channel 4, 1998). 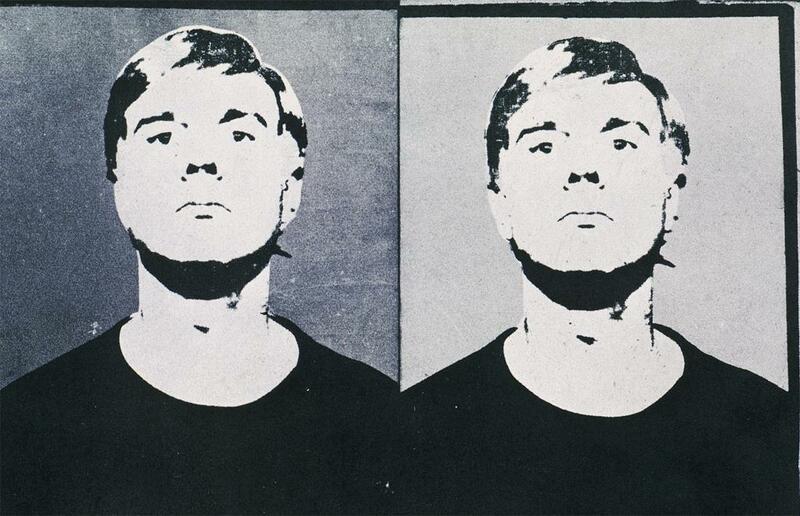 Andy Warhol, Self-Portrait, 1964. 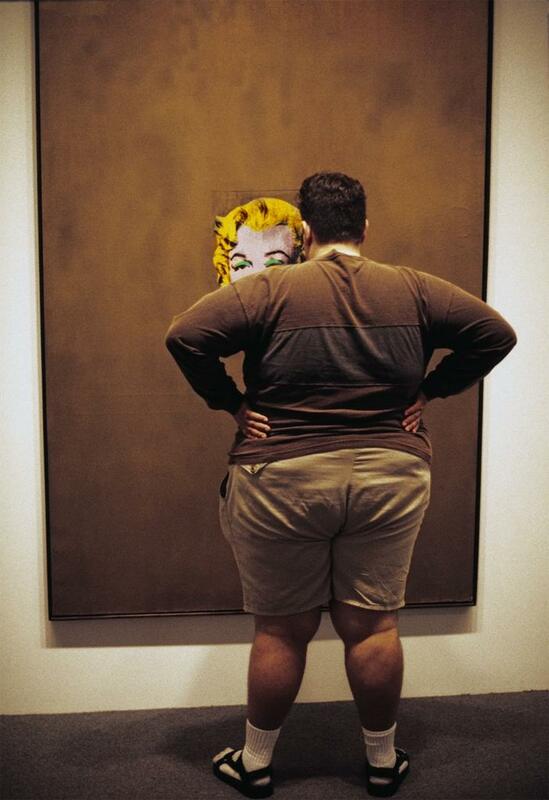 Thomas Hoepker, Fat man in front of Andy Warhol's Gold Marilyn, 1994. 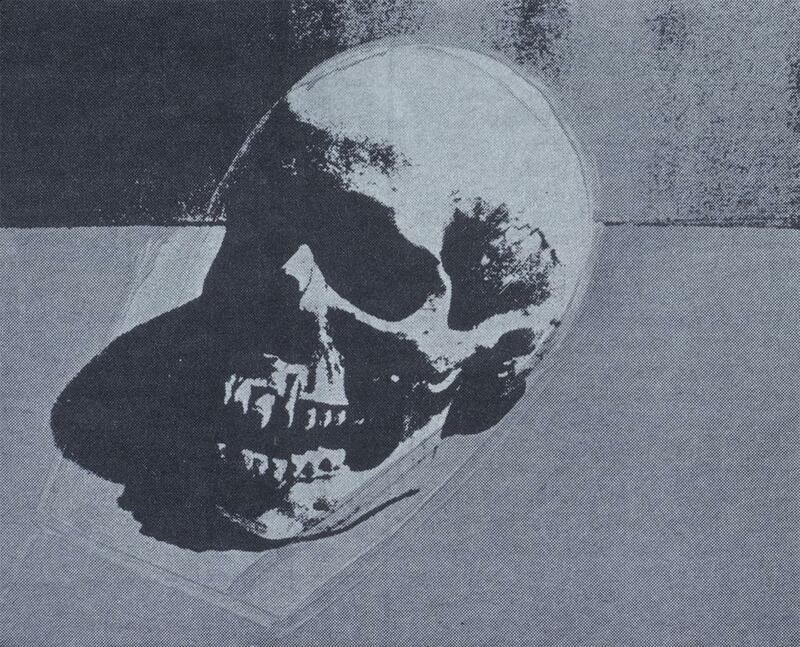 Andy Warhol, Skull, 1982.